Corey Parker’s day job was captaining one of the most successful NRL clubs in history. He brought his magnificent career to an end in 2016 after hundreds of matches for the Brisbane Broncos, Queensland and Australia. However, despite entering first grade aged just 19, Corey already saw sport was also business. That understanding has stepped up through working with Brendan Turnbull over the past five years. Now, with a young family and a rock-solid base, Corey is ready for life post-football. “From our first meeting, I felt very comfortable working with Brendan – he always goes over and above what he has to do,” Corey said. As an example, Corey says he feels comfortable calling for Brendan’s input on any topic at more or less any time. “If he knows, he’ll help you. If he doesn’t know, he’ll source someone who does. “It is all seamless – from contracts to negotiations to buying a house to financial strategies. 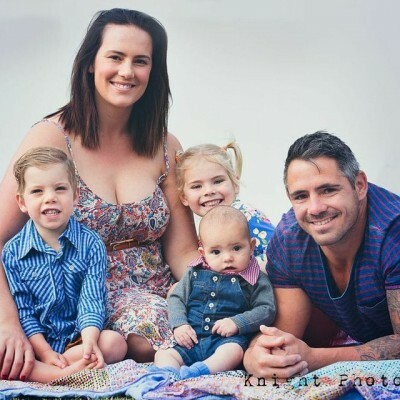 Having played his whole professional career for the Brisbane Broncos – the most successful NRL club of the modern era – Corey has seen many young players grapple with sudden wealth. In some ways, Corey is now entering another ‘danger time’. “Life after sport is different for everyone… some guys go from earning a substantial income back to a normal wage. “It depends on what you’ve done and your image. “For me, over my time, I have created some really good relationships so I have some great opportunities ahead.